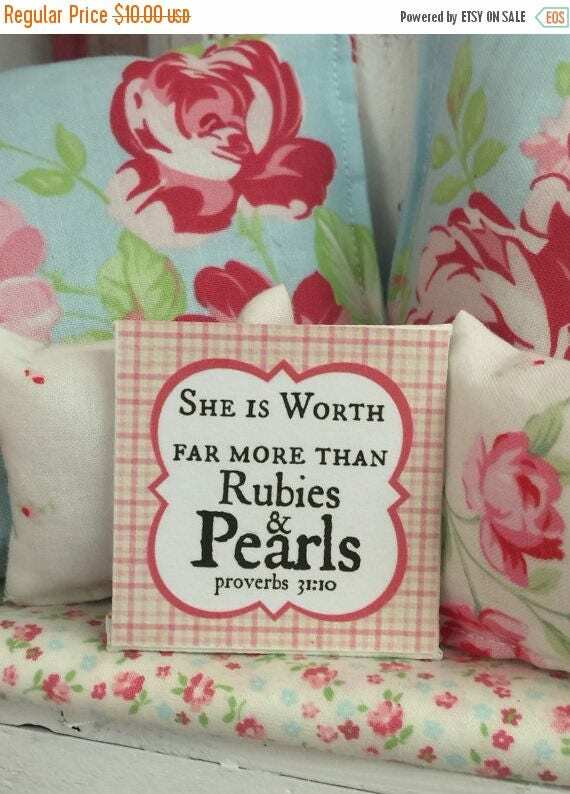 Miniature Canvas Art- Worth more than Rubies 2" x 2"
This wonderful canvas art is perfect for sitting on a shelf where your favorite female can enjoy the words each time she sees this scripture. 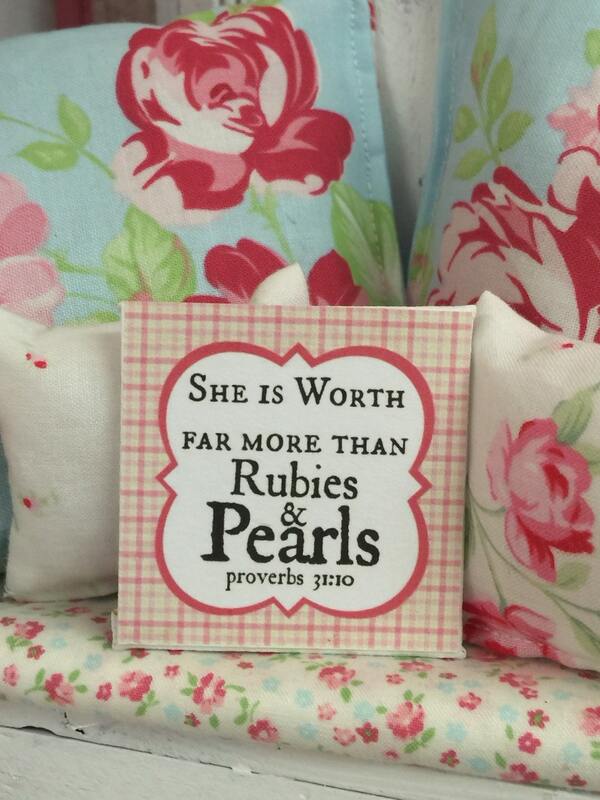 Wonderful words of affirmation for a mom, teenager, aunt, sister or grandmother or you! If you order this I'll wrap it in tissue and tuck in a card saying it is a sweet gift from you!